Princess Agents, a 58-episode Chinese drama released in 2017, based on a novel by Xiao Xiang Dong Er, is hands down one of my favorite dramas ever. It takes place in a time of civil war, when poor citizens were kidnapped and forced into slavery, and is referred to as the most watched Chinese drama of all time. The story mainly revolves around a young woman named Chu Qiao who has lost a large portion of her memory, and has been forced into slavery in the service of the Yuwen family. While at the Yuwen estate, she witnesses and is dragged into the inner chaos as family members target each other in an effort to raise their own status. 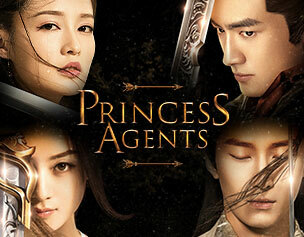 Although there is a bit of romance, and a ton of action, Princess Agents is at its core a story of revenge. In itself, the desire for revenge is absolutely normal. Most of us have had the experience of having been wronged, or having felt wronged, followed by a desire to get even, or to get back at the individual or individuals who hurt us. Studies have shown that when we think about revenge upon those who have wronged us, the part of our brain responsible for processing rewards is activated. Science has also found that revenge, rather than help toward healing, prolongs our emotional pain. This means that although we might feel better in the short term, in the long term revenge is not helpful toward recovery, and may actually interfere with it. After all, causing harm to another won’t undo harm done to us. Watching another person seek and get revenge is another matter. We may, as an audience, enjoy watching a fictional character who has been wronged get back at those who have wronged them. When we become attached to fictional characters —which is absolutely normal!— we can experience strong emotional reactions to their experiences. We hurt when they hurt. We cry out in a rage when they are killed off/written off the show. And we experience sweet satisfaction when they get what (we think) they deserve. Perhaps this is one of many reasons why so many people watched and loved Princess Agents. The opening scenes show a group of young women, slaves, being herded into an open field, where they were to be hunted by packs of wolves while trying to evade the arrows of the young noblemen who had captured them, for sport. Chu Qiao ends up being the only survivor, though she is badly injured. Already by the end of those ten or so minutes, I knew I wanted her to get revenge. My thirst for revenge on her behalf only grew exponentially throughout the drama as others continued to kill her family, to insult and humiliate her, and make her life difficult for absolutely no reason. This desire that I felt to see "the good guys" get even grew, and not only for Chu Qiao, but for other characters as the story progressed. Yan Xun is one such character. Yan Xun is initially introduced as a very sweet, mischievous, friendly, and fun-loving young lord, totally a chaotic good type, living in the area due to political reasons I won't get into too much (he was basically taken hostage by the emperor to force his father, a warrior, to stay in line). Yan Xun grew up around the royal family and meant a lot to the young Prince and Princess to the point that the Prince saw him as a brother and the Princess had a crush on him. Because of ugly politics, including collusion, deceit, and plotting, Yan Xun's family is accused of trying to de-throne the emperor, who then orders Yan Xun's family be killed. I am not doing it justice by writing this in one sentence. The entire family is brutally executed, without evidence, without any investigations, and without a single shred of mercy. Yan Xun is imprisoned by those he thought were his friends, tortured, and later forced to identify the remains of his entire family, including multiple brothers, his father, and his sister who had been pregnant at the time, only to humiliate him further. The other young lords that Yan Xun believed were his friends and considered brothers eagerly participated in the brutal execution and the humiliation of his entire family. The only survivor was his mother, who sacrifices herself in order to save Yan Xun's life. Yan Xun then is imprisoned for several years, having to fight for his life every day. Throughout the entire ordeal, Chu Qiao stands by him as his only friend. Considering everything that he was forced to suffer through, it is absolutely reasonable that Yan Xun fantasized about how to get even, and that he spent his years while imprisoned planning. His desire for revenge was the one thing that kept him alive. After all, he had nobody left, except for his closest bodyguard, and his best friend and closest confidant, Chu Qiao. Yan Xun, in my opinion, was entirely justified in wanting his revenge. But he also missed the boat with Chu Qiao. His desire for revenge eventually drove her away once she realized he was willing to sacrifice the lives of innocent people, because he justified to himself that it was all worth it to achieve his goal. My personal theory, given what we know about what happens to the mind when one thinks about revenge, is that this is what kept him alive, because at least it was something. Human beings need hopes and dreams, but when we are stripped of everything we love, betrayed by our "friends", when we have no home and no family, when our lives are threatened every day and we live in constant hypervigilance, it is only logical that the one thing that our minds could allow themselves to dream about would be revenge. But in order to live on and have meaningful lives, that eventually has to transform into something else. That is, once it serves its purpose (help keep us alive), it needs to go, otherwise it will only cause us harm, as it did for Yan Xun. The research on revenge shows that most people believe they will feel better once they achieve it. However, they do not. Instead, they are more likely to not only not experience catharsis, but to feel even worse. This is because the desire for revenge means focusing on the pain that was caused and those who caused it, which only prolongs that pain. As one of my friends always says, what we focus on expands. Focusing on revenge keeps a person from finding other meaning in life, other things to live for, or reconnecting with their core values. Even when we lose everyone, if we cannot find our core values, that is when we truly have nothing. Hope you enjoyed this small tidbit about the psychology of revenge as seen in this drama. There is SO MUCH to say about the drama itself, that one post could never do it justice, otherwise I will be typing forever! Did you watch Princess Agents? Please let me know your thoughts!